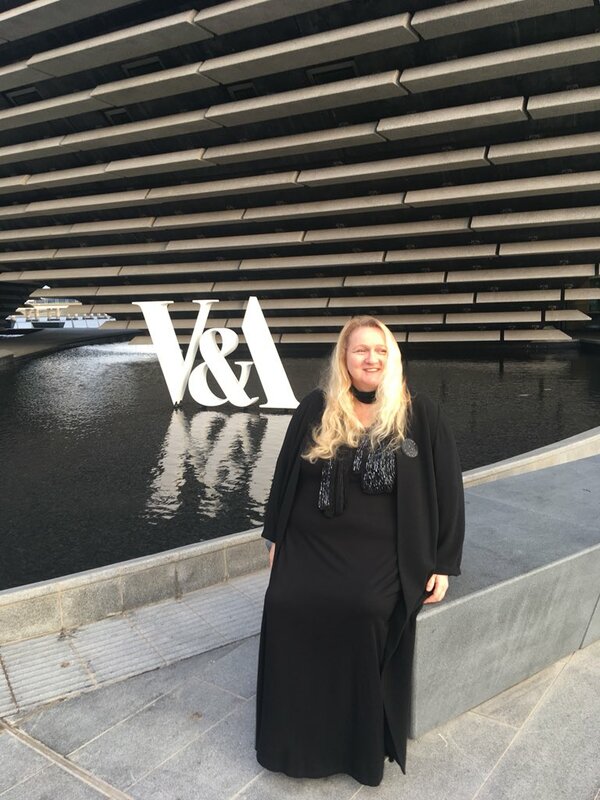 Welcome to V&A Dundee for what promises to be a spectacular night. 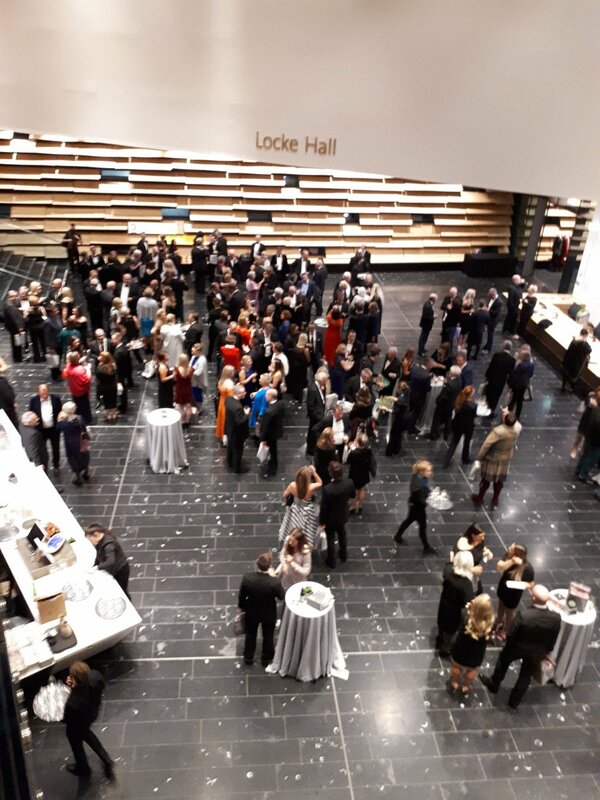 Anyone who was at or watched the Oor Wullie auction in 2016 will remember the amazing atmosphere, and tonight’s surroundings will only add to the excitement. We have 80 main lots tonight, with two special baby penguins rounding things off. 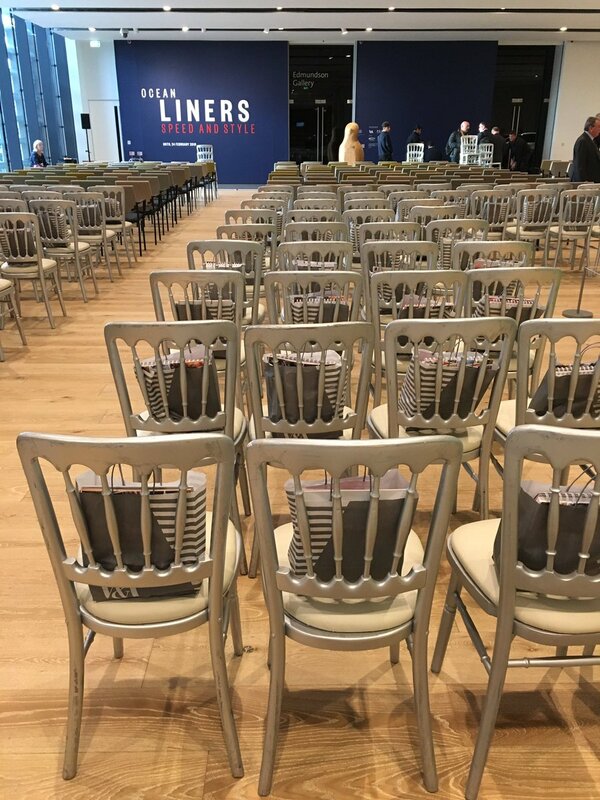 The sale is due to start at 7.30 and will last around two hours. Back by popular demand are our auctioneers from ANM Group and iBidder. Expect lots of laughs and a furious pace. 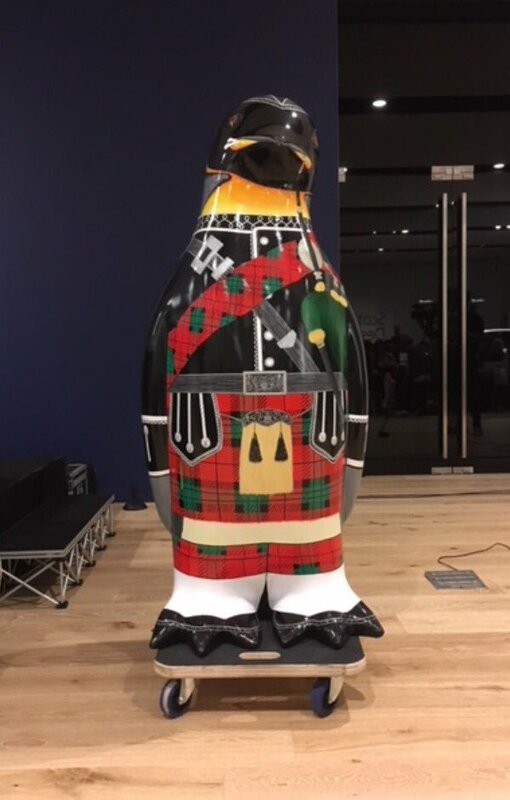 Lot 1: Bonnie Dundee - Designed by Gail Stirling Robertson and sponsored by Lorraine Kelly. Bonnie Dundee spent the summer at Castle Green in Broughty Ferry, making it a firm favourite with children. It could set the tone for the night. Let's hope for a bumper bid to get us going. One of the most striking penguins, R2DunDee2 was seen on Brook Street in Broughty Ferry. A big hit with sci-fi fans, let’s hope for an out-of-this-world sale price tonight. 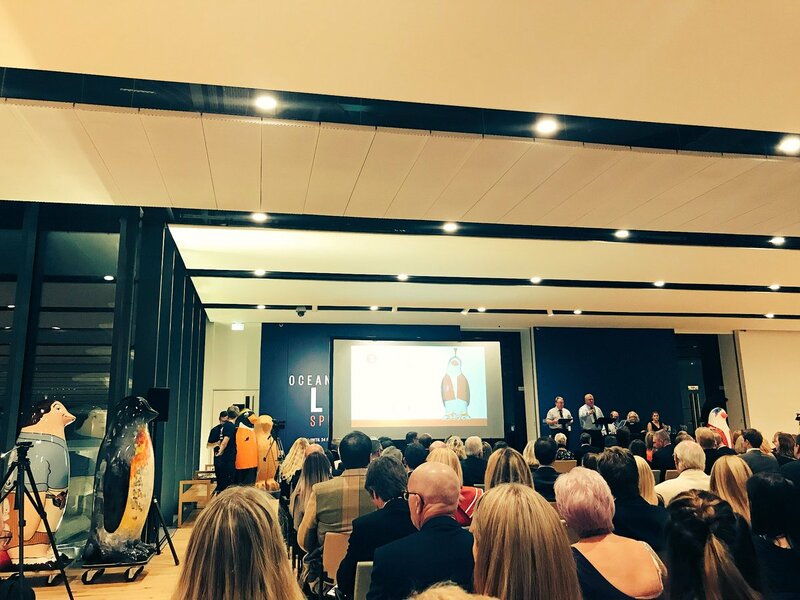 Inspired by David Attenborough’s wildlife documentary series Blue Planet II, the designer was 13-year-old Dundee High School pupil Rebecca Hamilton. 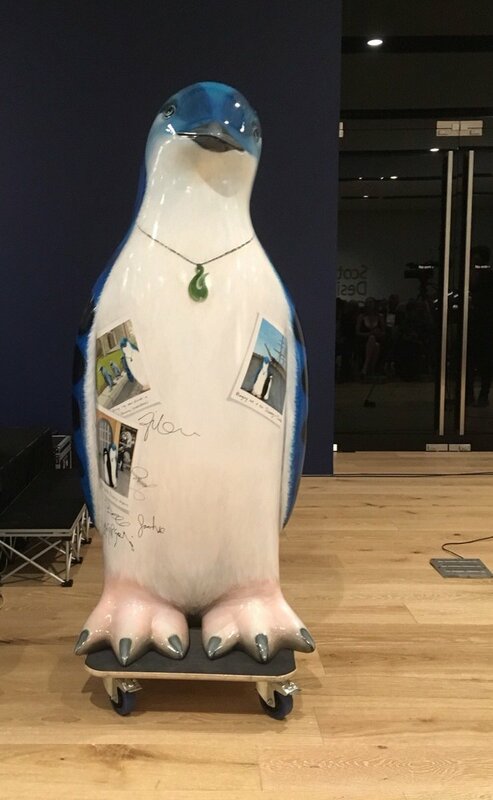 When she wrote to Sir David to tell him about her design ideas and the Penguin Parade, he replied and said he was “very impressed” with her design which raised awareness about pollution in our seas and oceans. 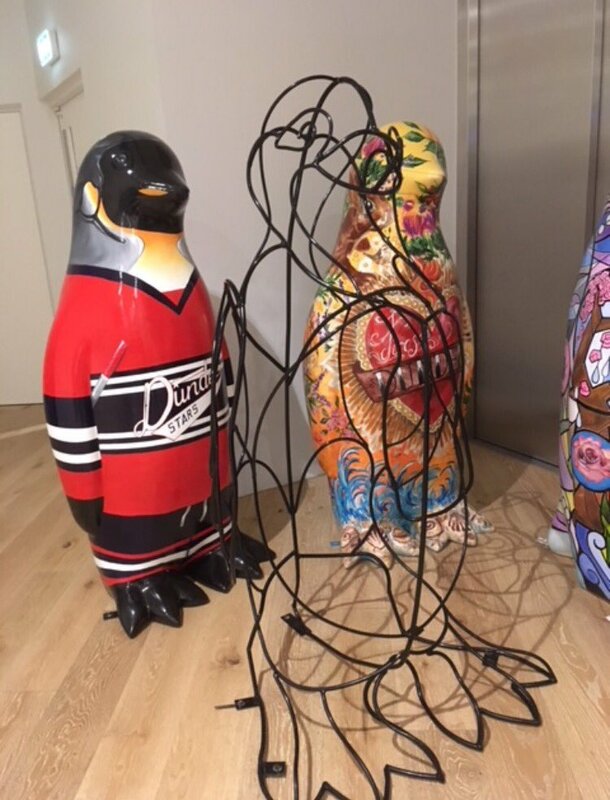 Lot 5: Bagpipes & Flippers - Designed by Sandra Webster and sponsored by James Keiller Estates. Spent the summer outside DCA in Dundee and provided many a late-night selfie opportunity. Courier readers will remember artist Dougie and friend Richard’s epic walk to the top of the Sidlaws, carrying Sid on a world war two stretcher. Outdoors fan Dougie applied some finishing touches at the summit of Balkello Hill. 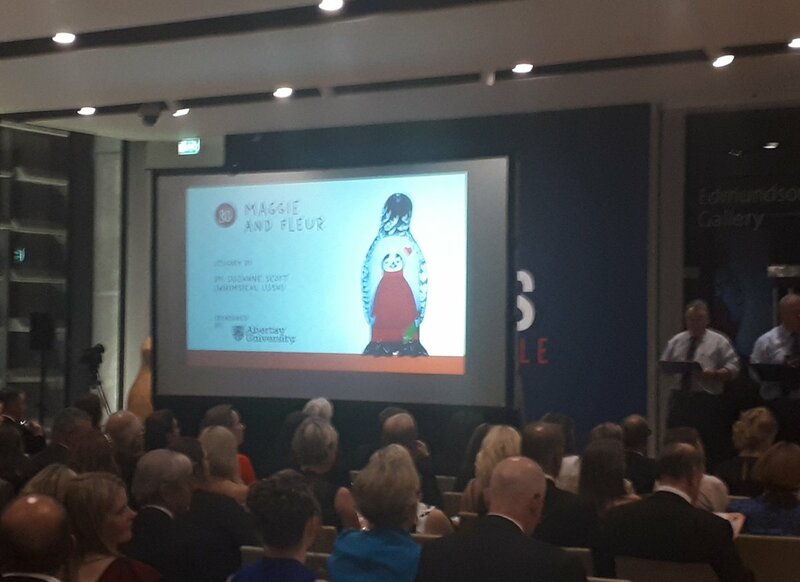 The #maggiespenguinparade auction has just passed £50,000. 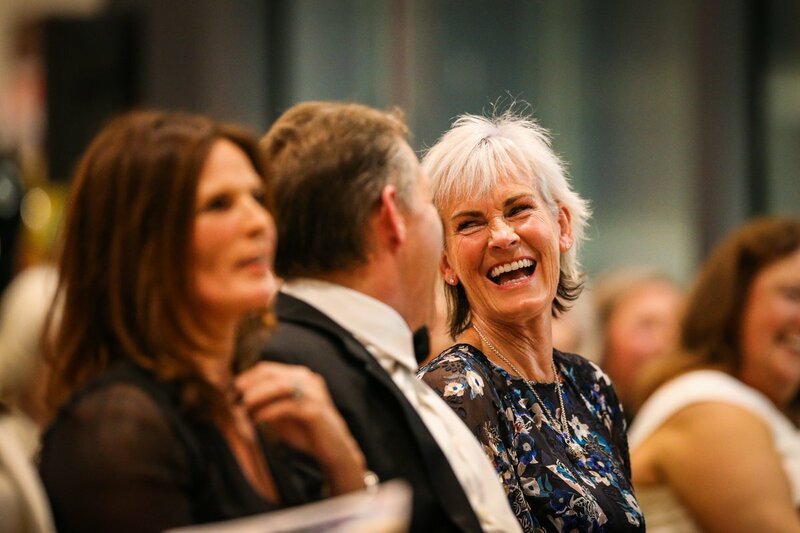 We're at £70,000 for the night so far. 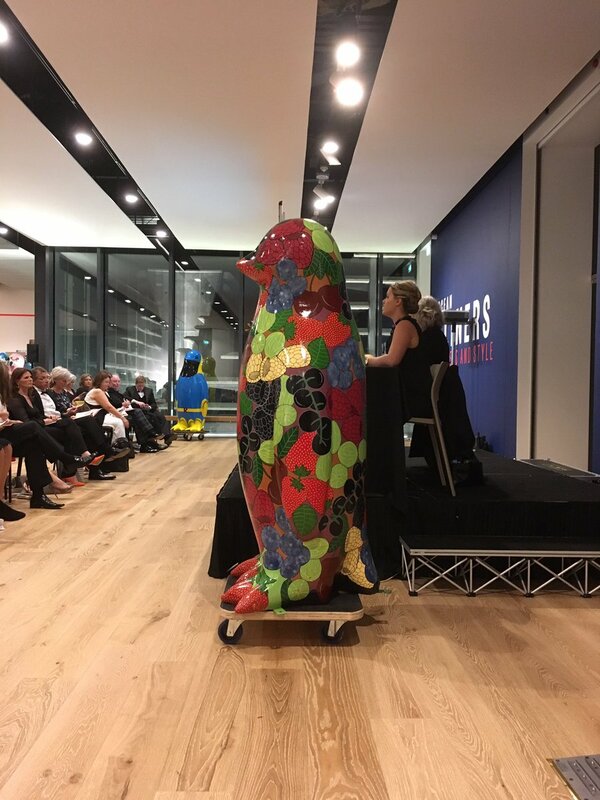 Jane and Lucy Robertson created a heat-reactive penguin that changes colour and reveals the word “hello” in different languages when touched with a warm hand. Hue also changes in the heat of the sun and may need extra hugs on cold days. We're nearly breaking through £100,000 for the night here! We're at £99500 for the night! Stephen Thompson secured the Dundee United Oor Wullie for his club in 2016. Can the new regime at Tannadice Park complete the double? Carved from a glue-laminated block of Douglas fir, the Antarctica shaped inlay in the penguin’s chest is a piece of teak wood salvaged from RRS Discovery during restoration work. Chainsaw artist Tom Harris-Ward worked his magic on this beauty, which is one of two sculptures on the trail not made of fibreglass. Like Plug himself, Pluguin has his own distinctive look. Will he be a hit with the buyers tonight? Re: Lot 24 -- we think the Kirriemuir Regeneration Group got it! Journalism claimed a spot right outside the McManus and looking over to the The Courier Buildings in Meadowside. Will his sale price hit the headlines? This stunner took pride of place in Carnoustie during The Open Championship and could well have built up an international fan base. This could be one of tonight’s lots. Brechin folk are hoping to buy their town penguin back. 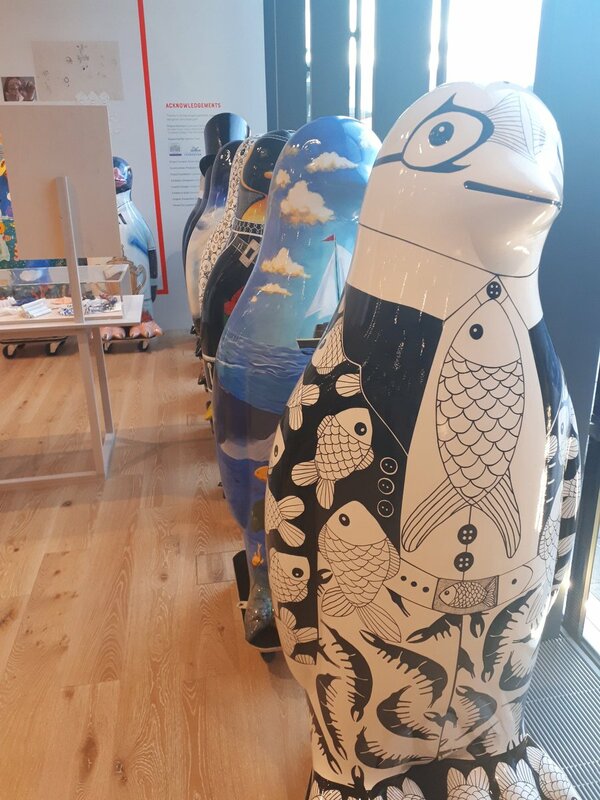 The community penguin has been situated at the Brechin Community Campus and fundraising efforts spearheaded by businessman John Forster has raised a war chest. 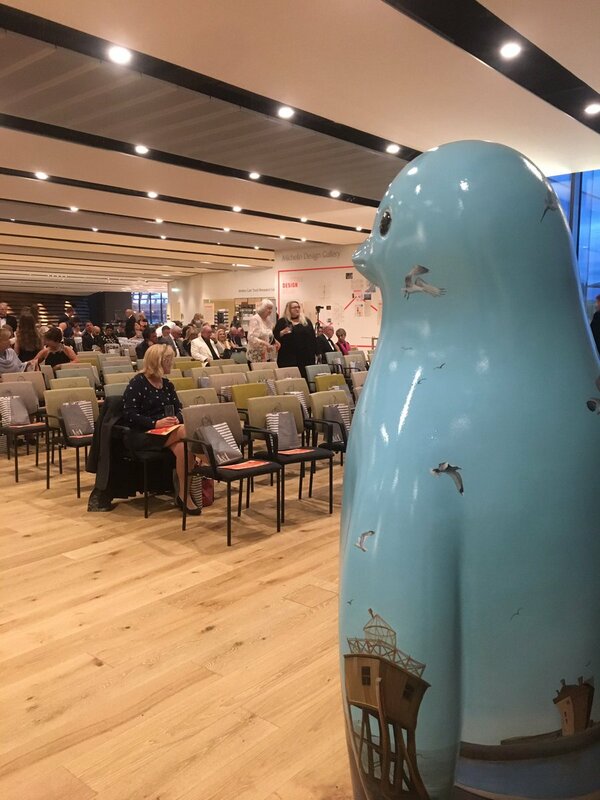 The community penguin was also the subject of a tweet by Prime Minister Theresa May when she retweeted a pic of Angus MP Kirstene Hair next to the statue. We're about £6000 short of £200,000 for the night! Lot 36 Fish Food sells for £4500. Online bidder there. Bob Servant fans will be interested to see if the cheeseburger magnate decides to spend his riches on Crystal Azure, as it was propped up outside his home all summer. Lot 38 Crystal Azure sells for £5000. No sign of Bob, we're afraid. 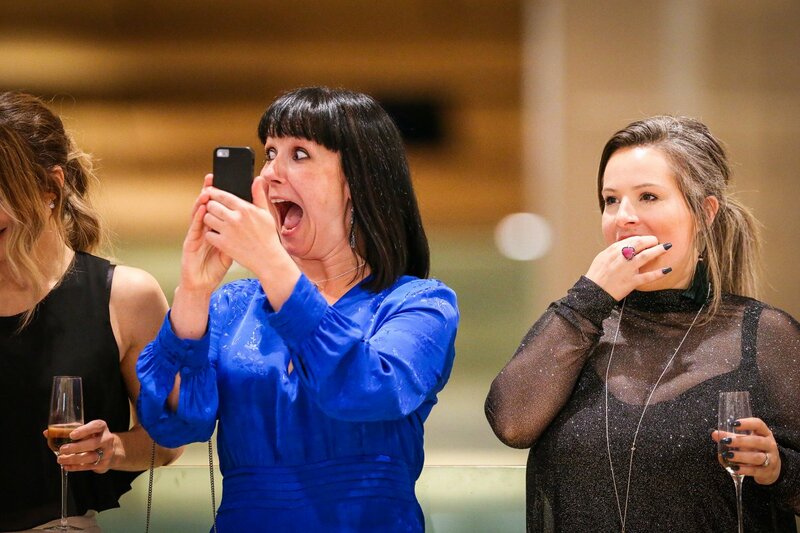 We're £500 short of £250k!! That's it: we're past the quarter million mark! We’re halfway through after this lot. The atmosphere in the room is extraordinary. Few penguins had a better view of Dundee than this one. Voyage’s position atop The Law made it a photo favourite. One of the penguins that branched out beyond Dundee, Fair Isla spent the summer in Perth. Will she return there tonight? This cool character spent the summer in Brechin, paying tribute to the area’s links to the Harley-Davidson brand. Whose gang will he be joining tonight? One for the patriots, King Robert should attract a princely sum tonight. Best price of the night so far. It's heating up! 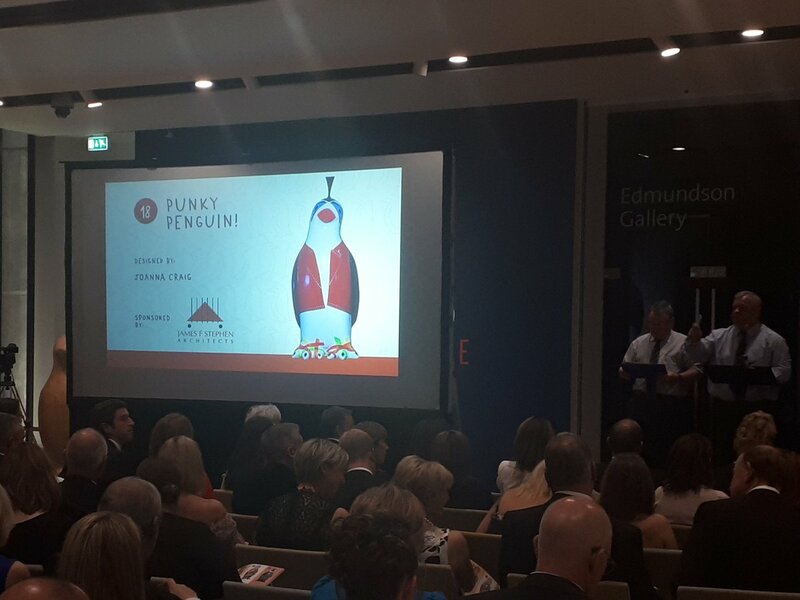 Lot 49 March of the Penguins sells for £6000. Another online bid. Lot 50 Chick sells for £7000. Another onliner. The world is watching! Literary lovers will be hoping for a happy ending if they are bidding on this beauty tonight. Paraded on Riverside Drive, he was. A favourite among the city’s student population, he is. Sell for a top price, he should. It feels like people in the room are realising chances to bid are running out. A Birdie flew across to Fife, where a packed summer of golf meant he was seen and loved by people from all over the world. Expect another high bid here. Lot 55 A. Birdie sells for £10,000! We're getting close to £400k for the night. Scotland’s Sunniest City, and on display during our sunniest summer. This little guy will bring back fond memories for the thousands of people who sought him out in Balgay Park. This design was inspired by the historical association Dundee has with marmalade. Sticky Feet celebrates this via an amalgamation of designs in mosia, crushed maramalade jars, iridescent tiles, glitter and glass. Not many more opportunities, says the auctioneer. And he's right. Get bidding! Provincial took up one of the busiest spots in the city, and stood right alongside Dundee’s existing penguin colony. You can’t have them, but you can have him. Chris Van Der Kuyl bought Minecraft Wullie. Will he add to the collection tonight? We're over £450,000 now. Can we reach the half million? Bananaman fan and Edzell Primary pupil Robbie Burke wanted the penguin to look like the caped crusader...but in penguin form. Just like magic, artist Chris “Creo” Alexander transformed Robbie’s Bananaman sketch into Banana Penguin! There are only a handful of penguins to go now. 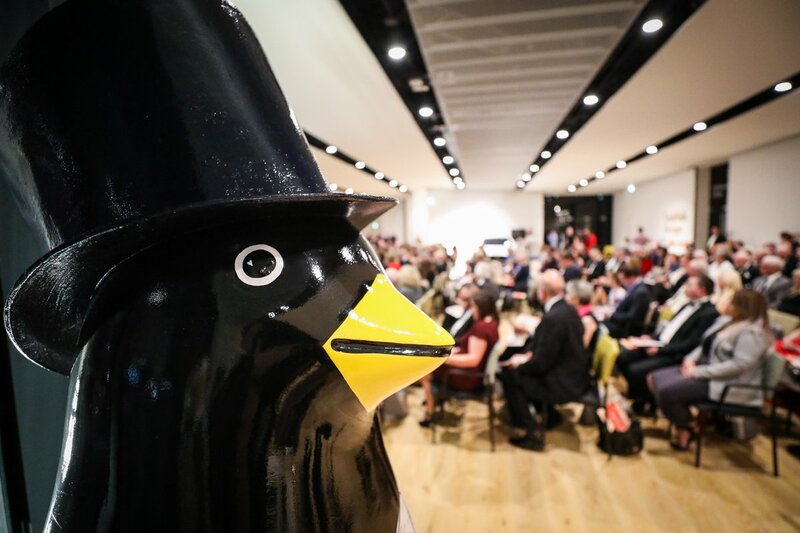 Only a handful of penguins left at @maggiespenguins auction. What a night so far! This could be the one that breaks the £500k barrier! It’s the turn of the Dark Blues to bid on a new piece of club history. Is he destined for Dens Park, or perhaps the home of a celebrity fan? 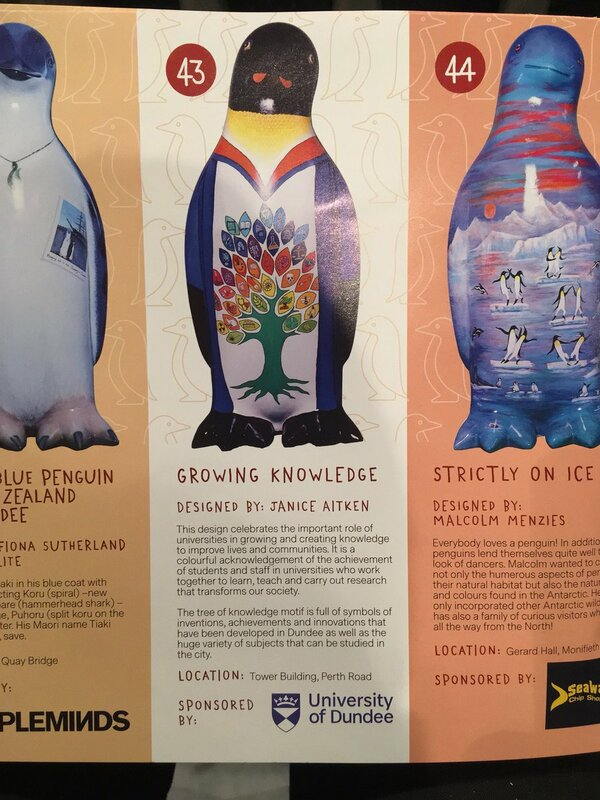 Yvonne Stewart’s design is inspired by the Korora penguin, often called the “fairy penguin”. These birds are known for their strong family bond and determination to survive when faced with adversity. The design is upbeat but warns to pay attention to changes in your body. Hidden among the happy characters are two unsavoury creatures located at her right breast. Inspired by Yvonne’s own cancer journey and the support that Maggie’s centres provide, her design represents the emotional cancer journey. It's not over yet though. Now the babies! Wee Maggie is cosy in her favourite handmade jumper. Her knitwear is inspired by those who help others, like 109 year old Alfie Dent who knitted jumpers for the rescue penguins of Philip Island. 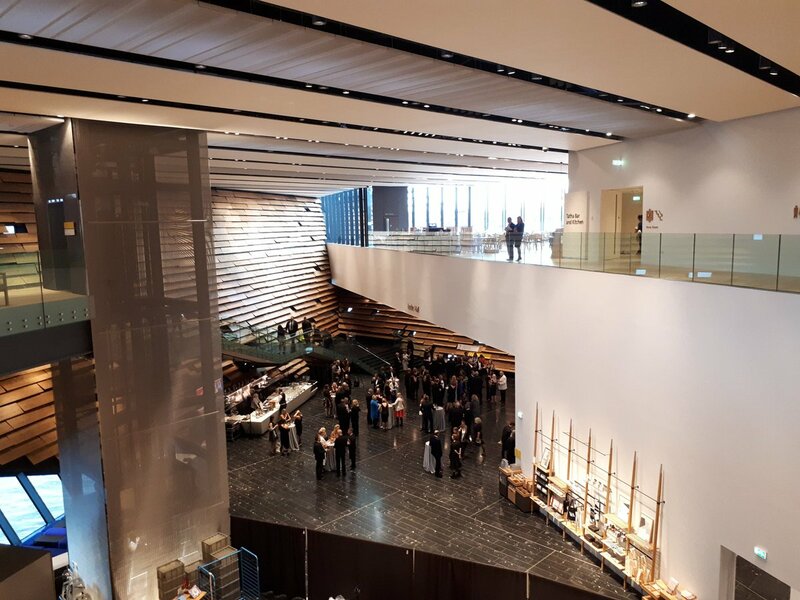 It also represents those who support others every day at Maggie’s Dundee by listening, offering advice and encouragement and by providing a welcoming, inspiring, warm safe space for people when they need it the most. And that's them all gone. 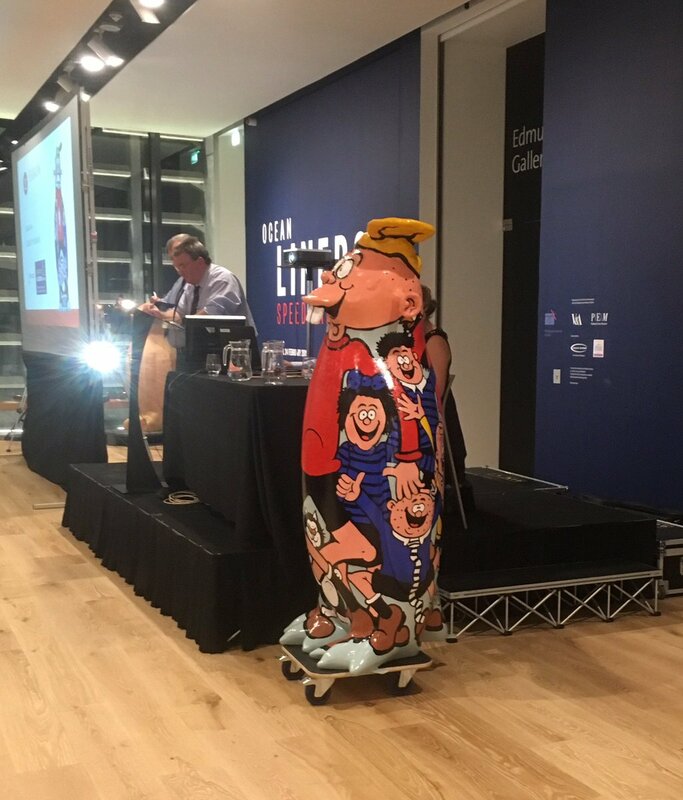 "It's been a distinct honour to have been here tonight," says our auctioneer. 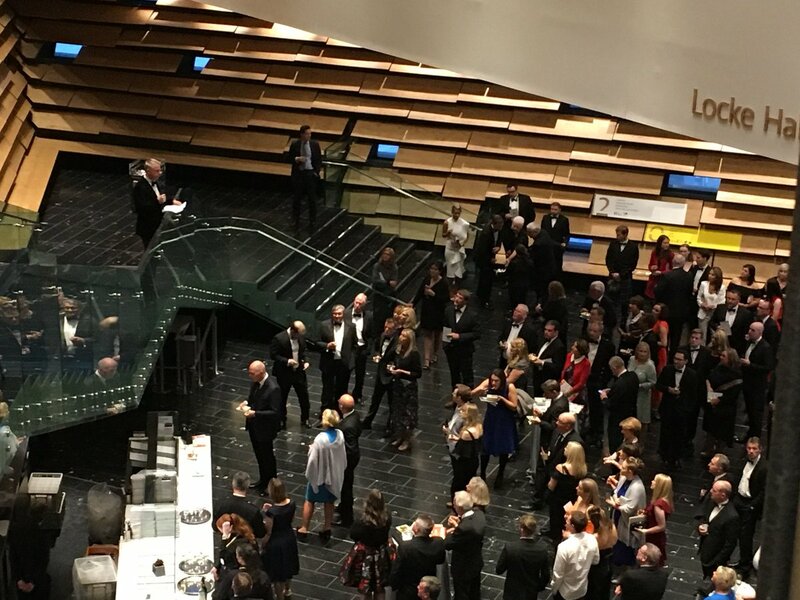 Sponsors and supporters are being thanked as someone clever does their sums. Huge excitement as we wait for the total. "Team Penguin" have taken the stage to rapturous applause. Thanks for following our updates. Look out for more reaction and photos in Tuesday's Courier.